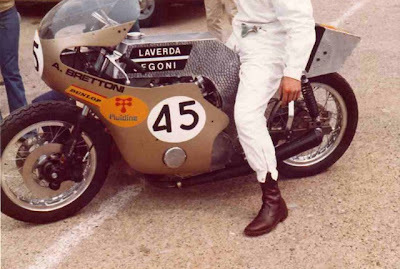 Having invented the beard in Florence in 1969, Giuliano Segoni went on to design this exciting stressed-member Laverda. 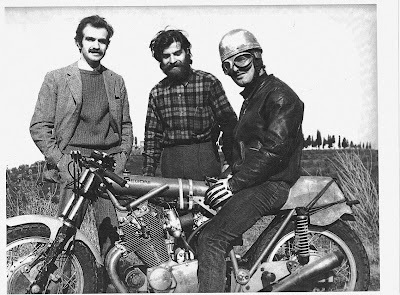 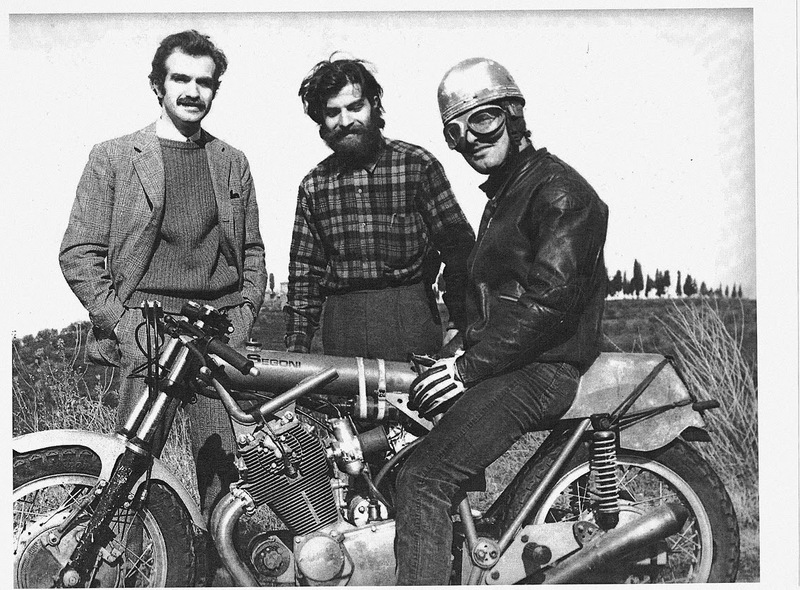 pictured here in 1971 with his architect brother and test rider Augusto Brettoni. 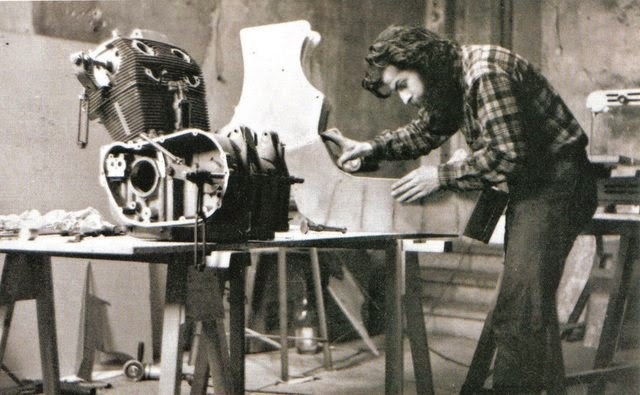 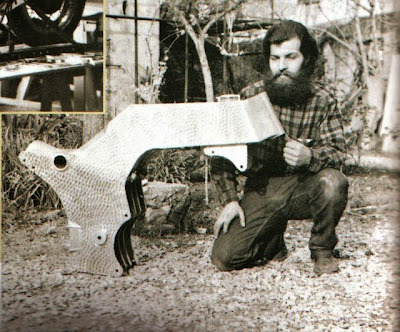 In 1973 he went crazy and came up with this monocoque frame for the SFC. Then in 1974 he discovered funk, and things calmed down a little. 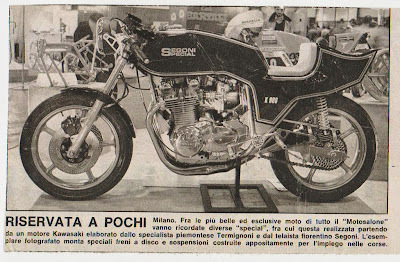 This Kawa Z900 (he mysteriously badged K900 - maybe discovered pipe smoking?) 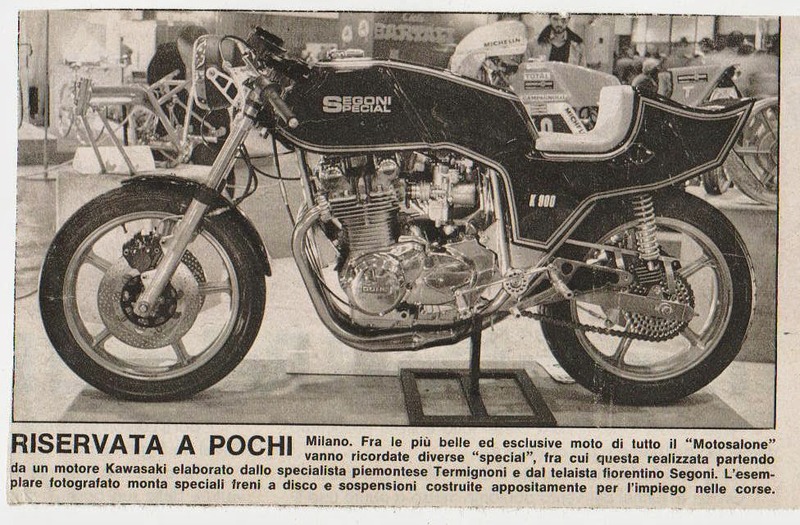 was shown off at the Milan show.